Teradek is a leader in compact HD H.264 codecs used in filmmaking, live video production, broadcast contribution and distribution. 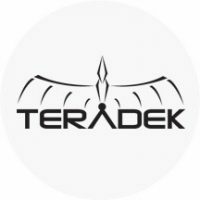 Teradek’s Cube™ is the world’s best selling miniature HD encoder that transmits 1080p video over Ethernet, WiFi or cellular networks to iPads, CDNs, or IPTV decoders. Bond is the world’s smallest and most affordable Cellular Bonding solution. Recently, Teradek introduced the BOLT allowing video professionals to link wireless 1080P uncompressed video reliably and cost effectively – and LINK to easily bond multiple cellular networks togetherand stream multiple video feeds back to base for late breaking news or live events.